The information available through this web site may include inaccuracies or typographical errors. Changes are periodically added to the information herein. Information included in this web site should not be the only basis for personal, legal or financial decisions. 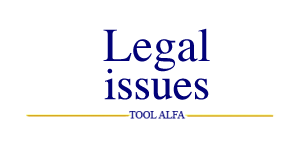 Tool Alfa reserves the right, in its sole discretion, to restrict the access to this Web Site and its related services or any portion thereof at any time, without notice.